THE GOG BLOG by Rory Spears, Editor and Director of Content. Follow Rory on facebook, linkedin and twitter @gogblogguy. 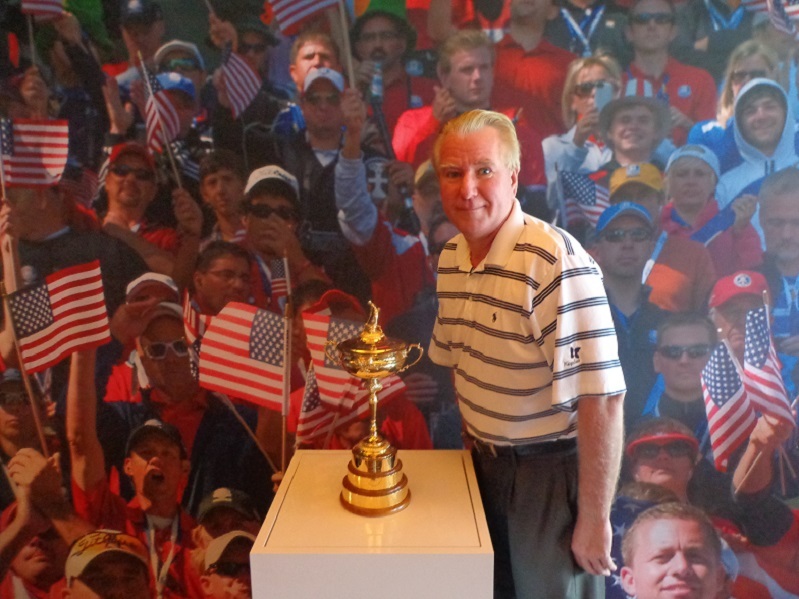 With the Ryder Cup. Now that Hazeltine National and the 2016 Ryder Cup is in the books, next up on the Ryder Cup clock is Paris France in 2018. But as they say at the draft, now on the clock. Yes, now on the clock, the American clock is 2020 and the Pete Dye designed Whistling Straits Golf Club in Haven/Kohler Wisconsin. 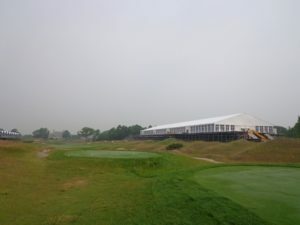 So what happens now at the Straits as Kohler Company prepares for something even bigger than the three PGA Championships they hosted in 2004-2010 and 2015. 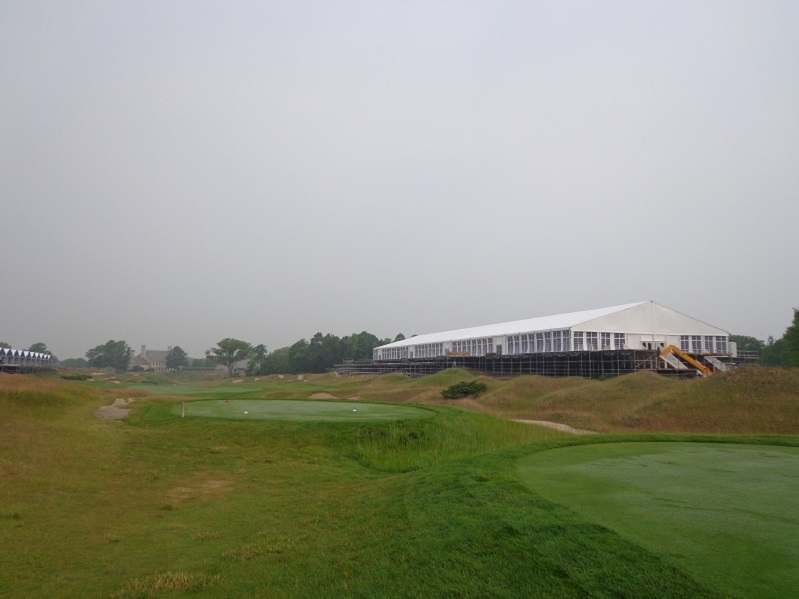 THE 9TH HOLE on Whistling Straits during set up for the 2015 PGA Championship. Well whatever is going to happen has already started according to Kohler CEO Herb Kohler. Kohler and his son David Kohler and a team of some 30-50 people were at the Ryder Cup this year, and will go to France in 2018, to see how this golf event keeps evolving. There is no doubt then when the 2020 matches to arrive at Whistling Straits, the Kohler Company and it’s golf team, along with the PGA of America will be ready for them to be there. Along with however many fans the PGA elects to let into the matches that year. But you can bet it will be some 50,000 a day or more. 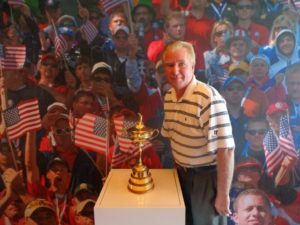 Click here to hear our interview with Kohler Company CEO Herb Kohler about the Ryder Cup that is yet to come in 2020. In the meantime, checkout DestinationKohler.com, the golf courses are still open for the season, and there are other special events coming to the American Club in the days ahead.